A few days ago a return of the very first PlayStation. We already have some information about the „PS1 Mini“, but the complete portfolio of games it will contain is not one of them. So far, only five of the 20 classics have been officially announced. Sony now confirmed that we shouldn’t expect more than these twenty games. Similar to Nintendo’s NES and SNES Classic, PlayStation Classic will be delivered with a fixed number of titles, which will not be increased after the launch of the console. From Legacy of Kain to Frontpigs – these titles have to be on it. 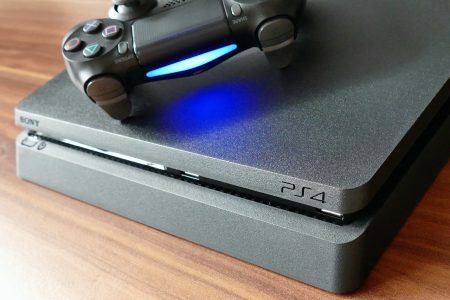 Having a VPN makes your internet connection secure, that is the reason you should install a VPN on your PS4. Read the tutorial at http://vpnps4.com/ to find out how to do it. Also, according to Sony, we shouldn’t have any hopes for online functionalities. PlayStation Classic owners cannot connect their mini console to their PSN account or services. This also means that there will be no trophy support on PS Classic. The included games have not been modified to offer trophies now. One of the few major changes that the small console offers is a reset button on the console that allows players to save a game and continue later at the appropriate point. Sony has not yet revealed exactly what this means and how many titles are identical or different in Europe, Asia and North America. The release of the „PlayStation Mini“ is not intended to affect Sony’s plans for further remasters such as the or the ability to load old games onto the PS4. Sony stated that PlayStation Classic is a separate initiative from ports and re-releases of older games. The retro console will be released on December 3, 2018 and is expected to cost $99. All you’ll find here.